We scheduled our trip to the Tower for February 13, the anniversary of Catherine’s execution in 1542. The Tower itself sits in the center of a variety of other towers and buildings; I felt as if I were wandering around a little village stuck in time. Here we saw the Traitor’s Gate, where those guilty of treason approached the Tower by barge, for their incarceration. Catherine was brought here to await her execution. The site of her private execution on the Tower Green is now marked by a glass memorial. It was particularly chilling to see how close the window of her presumed prison was to the site—she would have had a clear view of the scaffold being built for her execution, and beyond that the Chapel of St. Peter ad Vincula, which would soon be her final resting place. Catherine is buried beneath the altar in the chapel, beside her cousin—and another one of King Henry’s wives—Anne Boleyn. 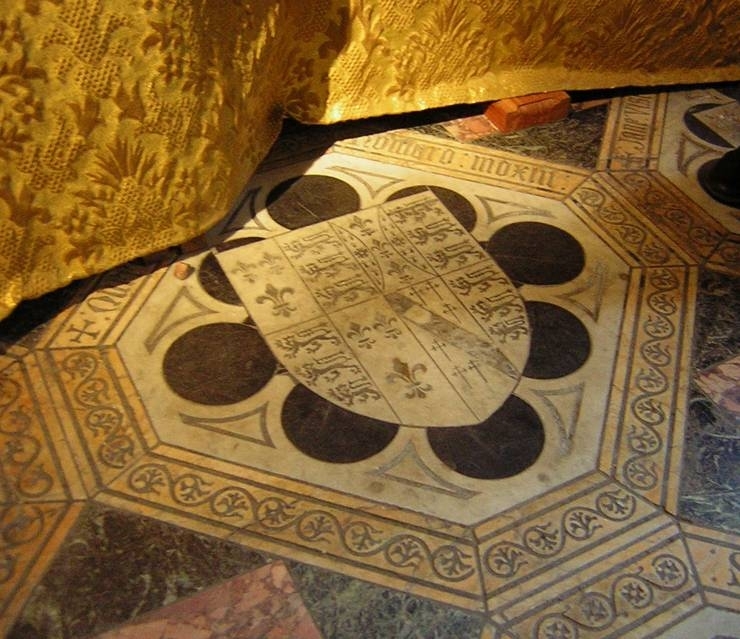 Many years after the execution, family crests were carved into the marble floor to mark all of those buried there. After our tour, I asked a Yeoman Warder if I could leave a small rock on Catherine’s crest. This is a Jewish tradition that I observe at home—rocks are used as markers on a grave site to show that the departed has received a visitor. I explained that I was writing a book about Catherine and wanted to leave a sign that I had visited her, and he let me go up to the altar and leave the rock there myself. This moment, more so than in the haunted gallery, I felt Catherine’s presence as I placed the rock and touched the carved stone. The yeoman pointed out Anne Boleyn’s stone, which had a bouquet of yellow roses on it at the time (“that’s not uncommon”, he told us). He moved the bouquet to show us the pink discoloration on the white marble, gradually stained by the roses Anne has received over the years. It made me feel a sorry for Catherine, buried right next to her more famous cousin and generally forgotten. While Catherine did not have the impact upon history that her glamorous cousin did, she was still a real girl with a fascinating life story. I was glad to at least leave the stone, to show that someone was thinking of her, and felt a sense of gratitude in the chapel; a genuine connection to history, and to Catherine, herself. History actually did happen once—these people were flesh and blood and as alive as you are right now. No matter how much research I do, I can never know exactly how she felt about anything that happened to her. I only hope that she has granted me her blessing in telling my version of her life. Hi , history is my greatest subject. The most interesting part of history , for me is The Tudors. I have many history books on the tudors. Theres nothing about the tudor period that I dont know about. 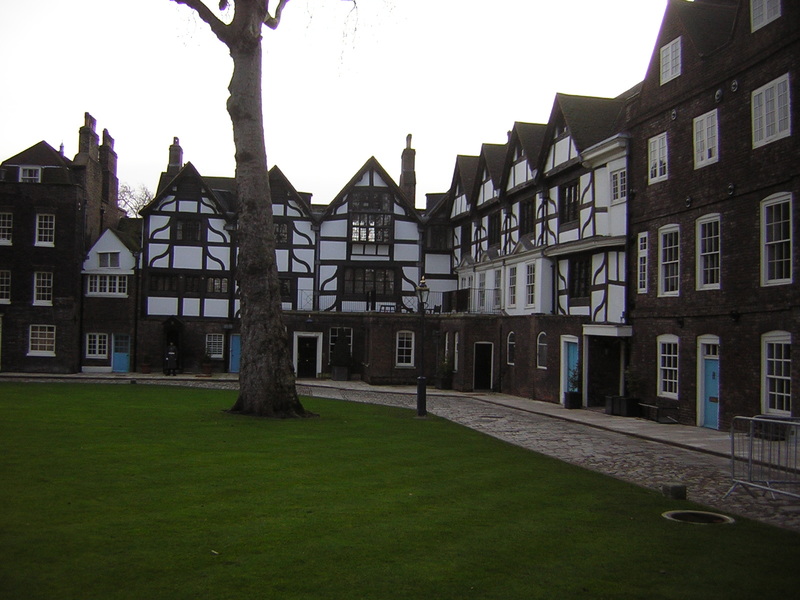 I visited:The tower of london , Hampton Court , Westminster abbey. 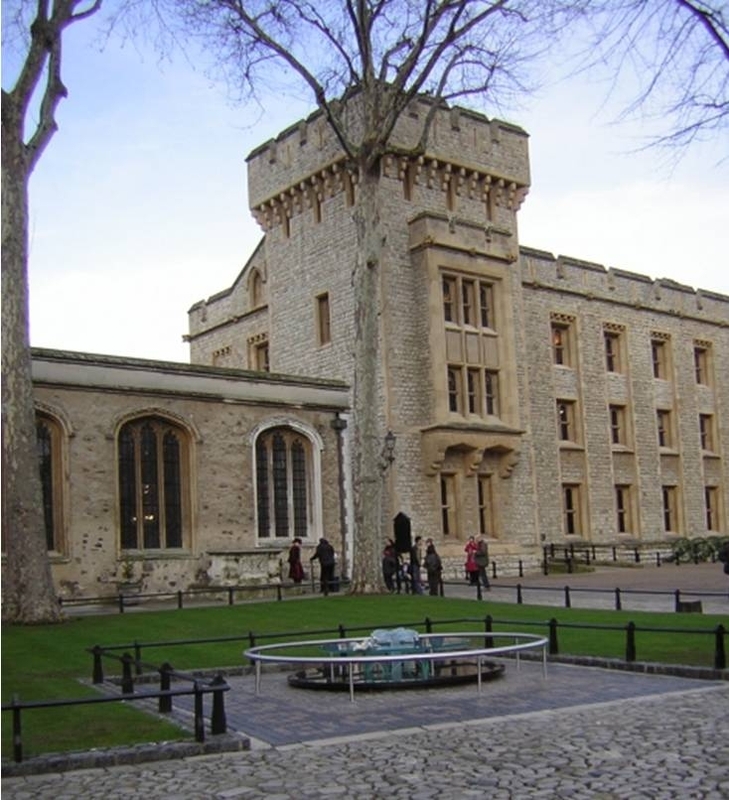 But when I was at The Tower Of London I didnt get a proper vue of Anne Boleyn grave or any graves beside her grave. It sounds like you had a great time at the Tower of London and I’m glad your wish to leave a rock on Catherine’s crest was granted – a special moment for you. I am just now reading your book and im absolutely enticed. I have reached the part when she is in exile and they have told her that she will be killed. It is a page turner I must say. Thank you for writing such a great story. I remember go to Scotland and England for my seventh birthday. I might have imagined them, but it seemed like while i was there, the ghosts of the past came back just for me and relived their lives. i saw Catherine go by screaming for Henry and i saw Catherine of Argon going into the chapel. she actually went through me! everyone on the tour suddenly complained to the tour guide that they were feeling cold! imagine how i felt. the ghosts are always nice if you acknowledge them and are kind to them. i’ve always been a history buff and history is my passion. I have always loved reading about and visiting england, Scotland, Whales, and Ireland and of all the families that once lived and ruled these places. once i started reading The King’s Rose, i fell in love with it and couldn’t stop! thank you alisa for actually going to england and researching catherine howard. many authors just research the person, not visit them. i’m sorry this is so long but i truely do love history and this book! hi, before you get me going on the Tudors i just want to say most of you might be wondering because my last name is Shakespeare if i am related to William Shakespeare and the answer to that is yes. Now on to my most absolute greatest history subject of all time…The Tudors!!!! Ella, thank you so much for your message! I’m so glad that you love the Tudors, too – what a fascinating king, not to mention his string of wives. I’ve been meaning to read more about Henry’s children, as well. That’s the great thing about loving history – one interest leads to another and another…I hope you keep up your historical interests! If you want some more royal fiction, you may want to check out Jane Yolen’s book Queen’s Own Fool about Mary, Queen of Scots. I will check out that book. Today at school me and the rest of year 5 are dressing up as the tudors!!! its so exciting i cant wait because we have got a very special someone who reserected from 28th January 1547 can u guess who?! (well just someone dressed up actually but knows everything there is to know about the tudors). ITS GONNA BE SO COOL!!!!!!!!!!!!! Thank you for sharing your Tower experience. It sounds exciting and quite chilling! That place has to be overflowing with ghosts, I’ve no doubt about it. I didn’t make it to Hever – hopefully on my next trip! Hi Alisa, I was just looking up about London and your blog had come up. I visited the Tower of London a few months ago and I had a great time. I love visiting London and learning about the history and I’ve found your blog to be very helpful in learning the history, thank you. Are you planning on visiting London again soon?